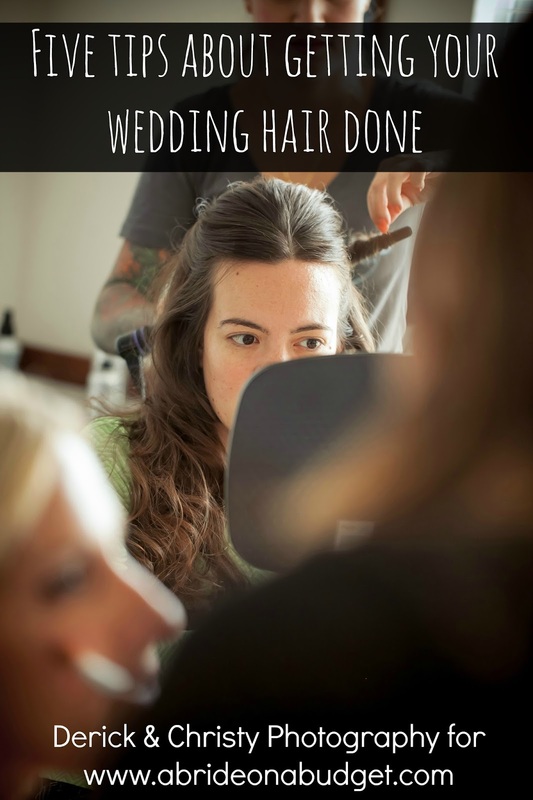 A Bride On A Budget was provided with credit to purchase items for this review. The amount over the credit was paid for by ABOAB. If you've met me and Pete, you know we're not exactly the most traditional of people. I mean, I am as traditional and by the book as I can be, and Pete is just, well, he's just not. It's not that he thinks outside of the box, it's that he has no idea where the box is and has no intention of tracking it down. So while I want a more traditional type of wedding, he wants to come down the aisle riding a donkey. We need to find brands that are as unique as us, that tread the line between traditional and not without being tacky. That's exactly where CafePress fits. CafePress is a site where you can order customized products. You can choose a design that someone else has designed or you can design your own and have it printed on a variety of objects. You can order anything from custom shirts and pajamas to coffee mugs and water bottles. I was looking for the perfect gift for our wedding welcome bags for our parents. They have to be a little more than what we're giving everyone else -- but I didn't want to stick in any crazy sort of items. We're having a beach wedding, but they don't need a bucket and shovel. We're planning on sticking water bottles with personalized labels in every bag, but I wanted to get something a little more special for our parents. These stainless steal water bottles come in an indefinite amount of designs. You can just type anything into the search bar on CafePress and you will be presented with a variety of options. Keep in mind that not every design comes in every product. That's the trouble I had. I fell in love with the father of the groom design with the shirt as the "o" in of. I actually had originally picked that for the father of the bride design as well. These come in a kids size water bottle, which was $9. I just had to find a mother of the bride design and I could check out. 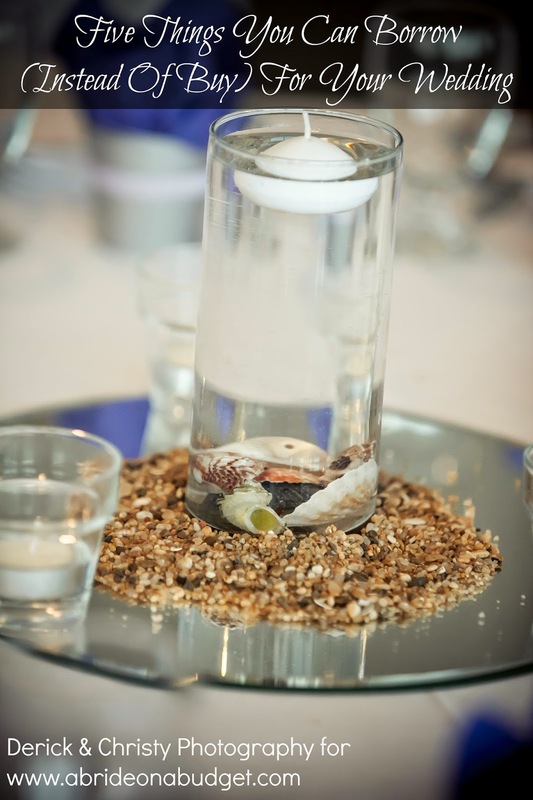 The mother of the bride designs for the small bottle were just awful. I didn't like them and I would feel so upset giving our fathers such nice designs and giving my mom one that I wasn't impressed by. I kept searching and found a great one with a pair of hearts on it. Trouble was, it only came on the larger water bottle. I checked at the father designs I liked also came in the larger size. But then I realized that if I get my dad and Pete's dad the same ones (save for the last word), they might mix them up. So I was back to searching. I found a similar but different design for my dad, and it also came in the larger size. Done. When I received them (less than a week after ordering), I was so impressed. They really have a ton of weight to them but not too much that they are going to weigh anyone down. I'm a huge fan of stainless steal since you can reuse them, unlike plastic (the jury seems to be out on that). The screw cap is really nice too. It has a finger hole so it is easy to carry around and the actual spirals in the cap don't seem like they will wear very much after use. The only thing I was disappointed in was the button I bought for Pete. 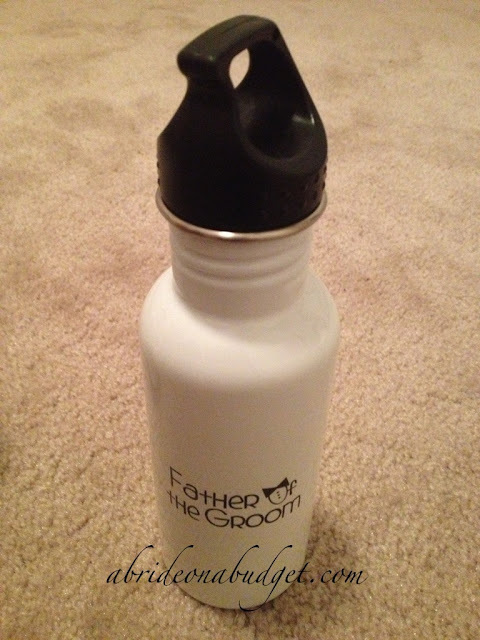 I stumbled over the design when I was looking at water bottles, and I thought it was hilarious. 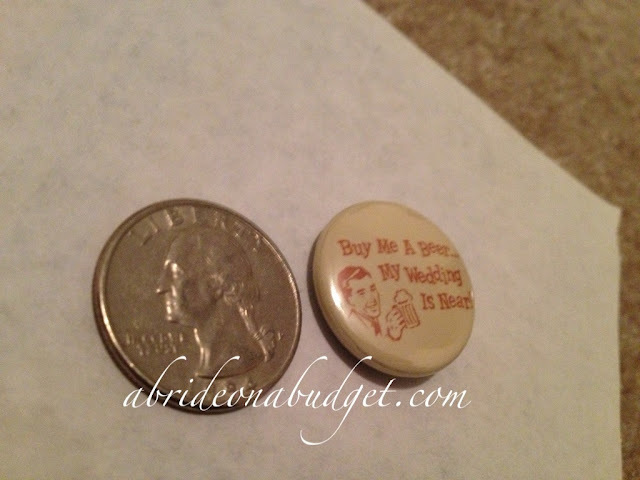 It says, "Buy me a beer ... my wedding is near!" There's also one that says, "Buy me a shot ... I'm tying the knot." Pete likes beer, so I thought this would be cute to give him to wear during his bachelor party. It was only $3 for the mini button, so I figured what the heck. I got it and again said, "What the heck?" but with a completely different inflection. The mini button is really mini. It's the size of a quarter. There is absolutely nothing that Pete is going to do with that. I am still in awe of the size of this thing. There is a 2.5-inch button for $1 more and I wish I would have gotten that one instead. If for any reason, you order something and you're disappointed, CafePress does have a 100% customer satisfaction guarantee. You can return any items for any reason (color, size, etc.) within 30 days. That's great to know. 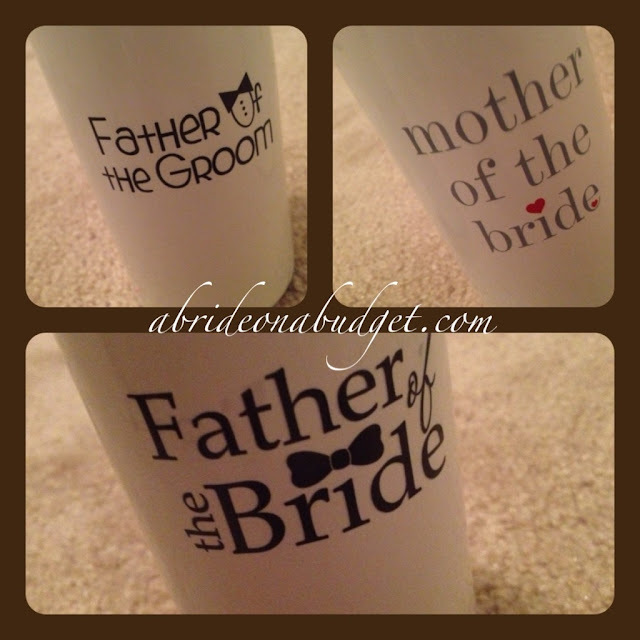 BRIDAL BABBLE: Of the four items I ordered, which design do you like the best? I love this review! 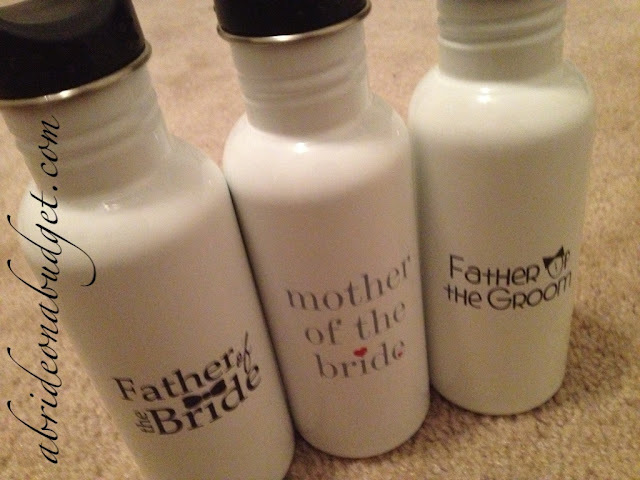 Cafepress has so many items, but I think my favorite is the Mother of the Bride bottle. I love Cafepress! 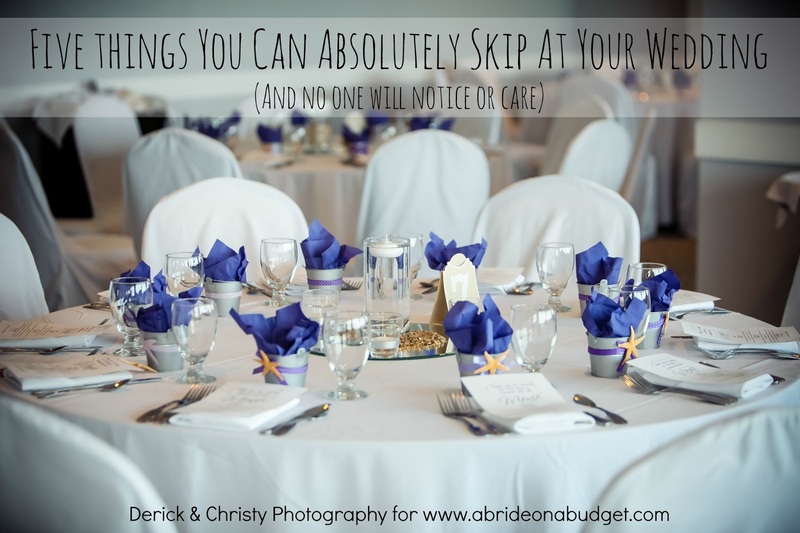 These are great wedding items! I wish I would have saw these for my wedding!